See how dealers are driving teen safety in their local communities. 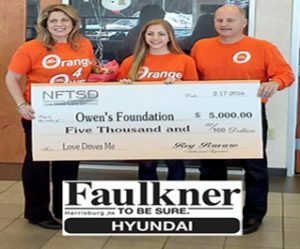 Faulkner Hyundai, Harrisburg, PA, partnered with Owen’s Foundation for the “Love Drives Me” campaign to help push the message of ending distracted driving among teens. The local charity was awarded a $5,000 grant from National Foundation for Teen Safe Driving Owen’s Foundation to support their work in the local community. 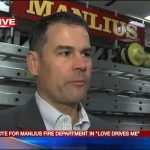 Crest Cadillac and Crest Acura of Syracuse, participated in “Love Drives Me” and chose Manlius Fire Department as its local charity partner. Each year the fire department stages “Every 15 Minutes,” a program which reenacts the impact of a drunk driving crash. For their participation in this program, Manlius Fire Department was awarded a grant from of $1,500 for this year’s event at Fayetteville-Manlius High School.